I’m super excited today to share a holiday kit created by my lovely friend, Amy Clark from MomAdvice.com! She is a very successful blogger and author…and now she has a fabulous DIY Knitted Boot Cuffs Kit available at a craft store near you! 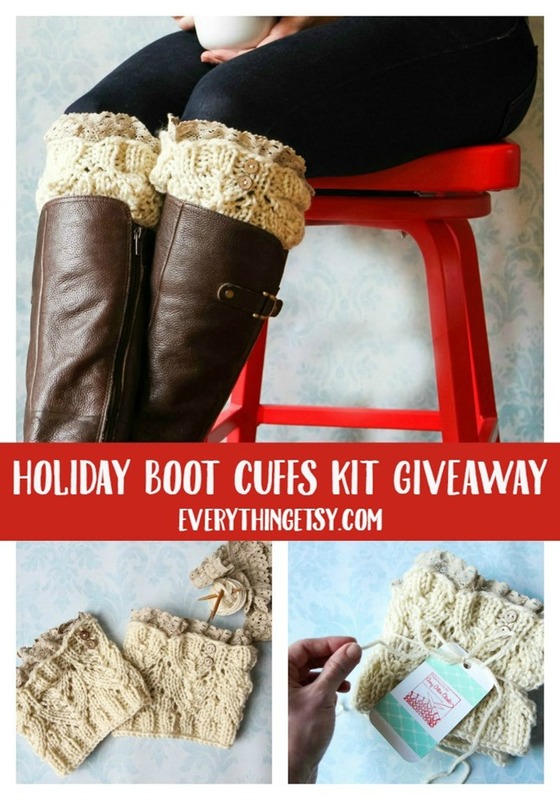 Do you wanted to learn how to make some cute boot cuffs to share as gifts this year? This is your chance! 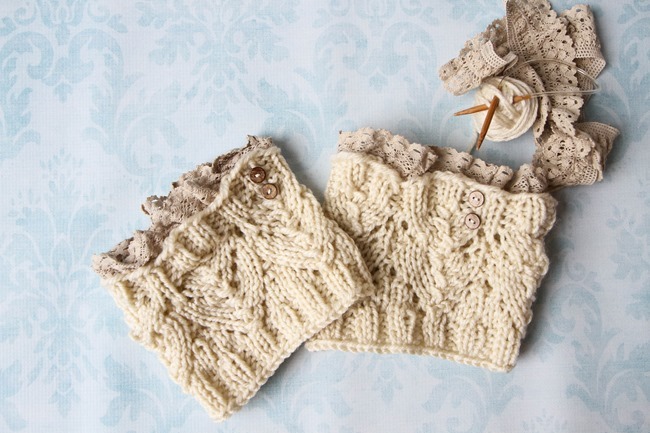 Boot cuffs are so popular and just imagine being able to say you made them yourself…love that! This kit created for Hazel & Ruby has everything you need to get creative on the go…it includes an awesome set of bamboo needles, yarn, lace, buttons, needles and thread. Throw it in your bag for your next road trip, buy a bunch and have a crafty party or just brew a cup of tea or coffee and enjoy a little time knitting up something beautiful! 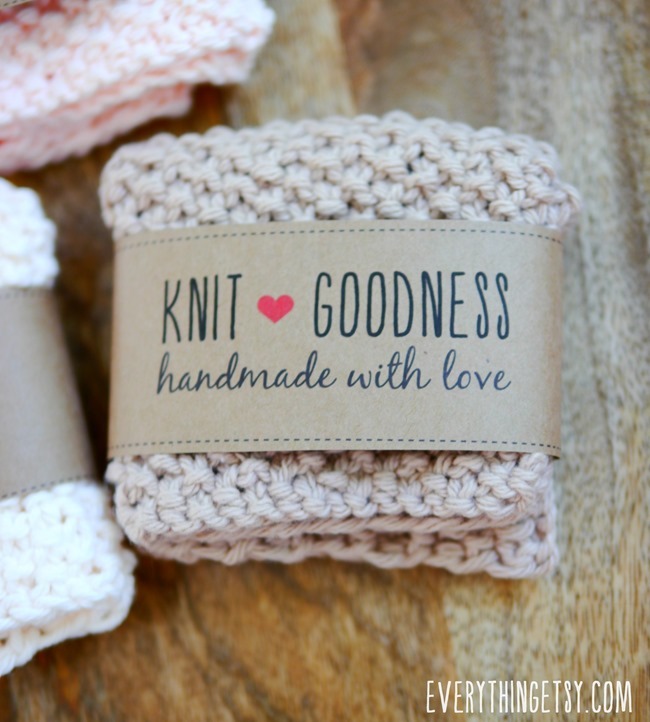 They would also make great gifts for your knitting friend, don’t you think? These are perfect! I love the style of them! 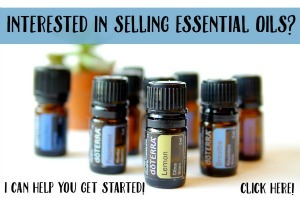 You know you want to make some! 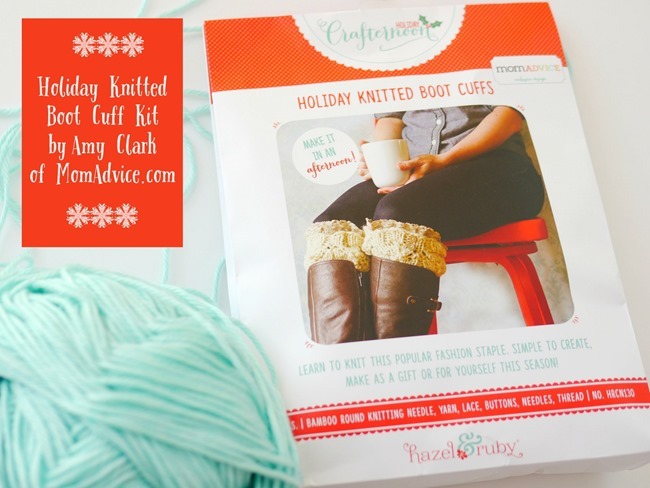 So, go check out Amy’s Knitted Boot Cuff Kit that she created with Hazel & Ruby for their Holiday Crafternoon line! What are you waiting for??? The holidays will be here soon! Create a great gift in an afternoon! Don’t forget to top it off with these free printable handmade gift labels! Download them here! Looking for a fabulous blog to follow…you will love MomAdvice.com! 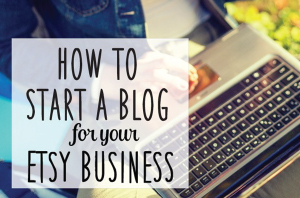 Check it out right here! 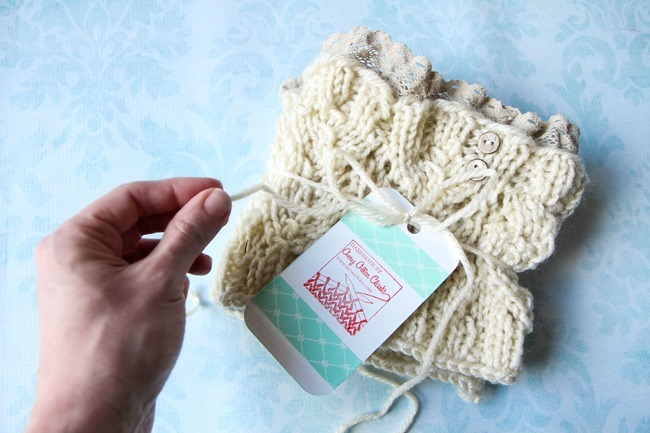 One lucky Everything Etsy reader will win this awesome Holiday Knitted Boot Cuffs Kit! To enter be sure to visit Hazel & Ruby and see all the Holiday Crafternoon Kits available. Leave a comment about who you would make these boot cuffs for…your friend, your neighbor and maybe a set for you, right? I’d love to hear who you think would love them! Enter the giveaway with the widget below. I would love a pair of these and so would my daughter. My daughter would love these boot cuffs. I have 5 daughters, it’ going to be hard to decide which one to give them too. My fun would be in making the cuffs. Thanks. My daughter and daughter-in-law would both love these…thanks for the chance! I’d love to make these for my nieces! These are great! What a great gift!! My granddaughters would love them! Have always wanted to learn to knit so would love to win this. Thanks for the giveaway. These would make a great gift for my best friend!! My mum does the knitting. I think I would give her this as part of her x-mas and then suggest she knit them for me!!! 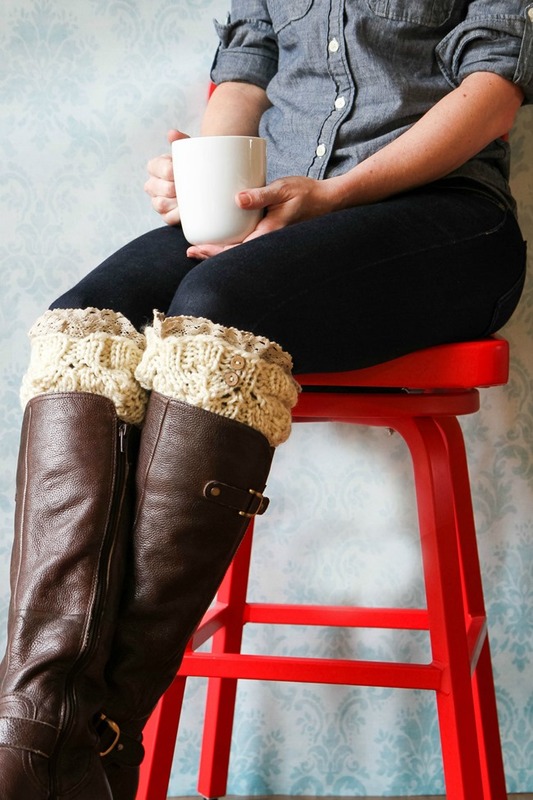 I would absolutely LOVE these boot cuffs! My sisters and I would love them!!! I have never knit before but have always wanted to learn!! I would make these for my wonderful neighbor and best friend, Kathy!! She is always dressed so stylishly and would love these!!! Thanks for the chance to win this!!! I would love these boot cuffs! I would make these for myself. I’m always looking for a short knitting project, too. I get tired of big projects I can’t finish in a few nights. I would make them for my daughter, Julia. She’ll be 15 soon! I would love to make a pair for me and my sister. I have to say I’d make them for my daughter she’s my reason for knitting!